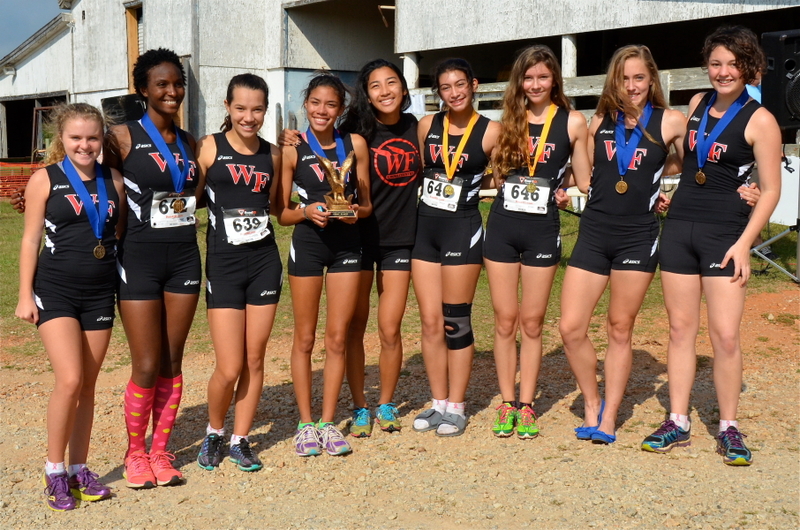 The Varsity girls race was taken out by Kayla Dawson and Rebecca Dow from Marietta and the Kell trio of Olivia Terwilliger, Reagan Poteet, Marielle Lewis and Betty Jackson. West Florida Tech ran smart as a team and on a 6th runner tiebreak bested Marietta both with 56 points. 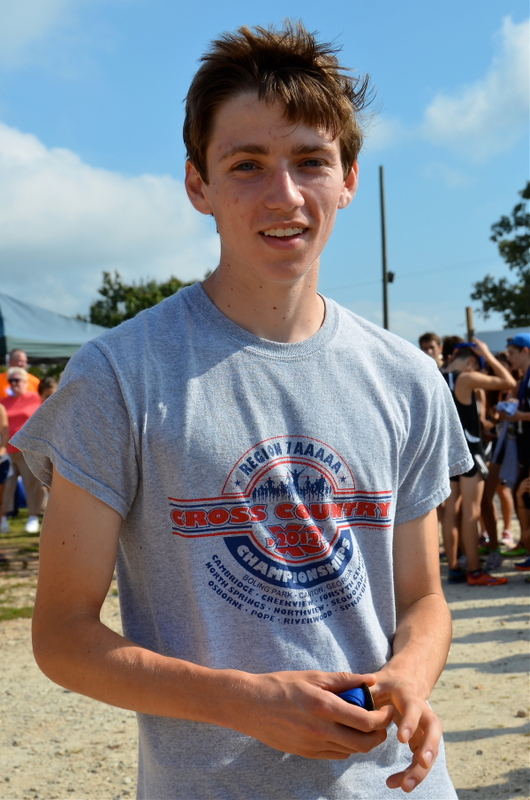 Raleigh Nesbitt led the sunshine staters placing 6th. Grady ended up in 3rd as a team. 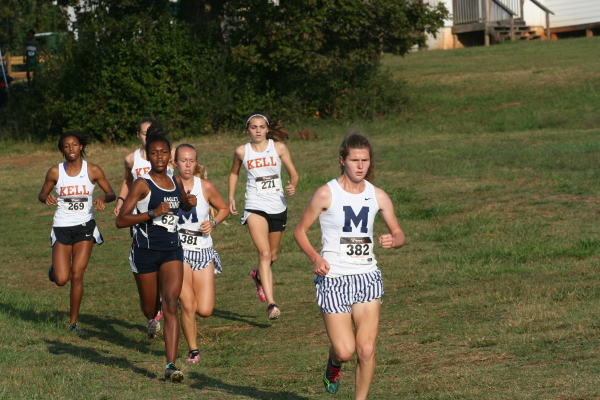 REbecca Dow pulled away for the overall win in 19:47 followed by Kell's trio in order: Marielle Lewis (20:05) Reagan Poteet (20:06) and Olivia Terwilliger (20:07) Dawson took 5th for Marietta in 20:33. 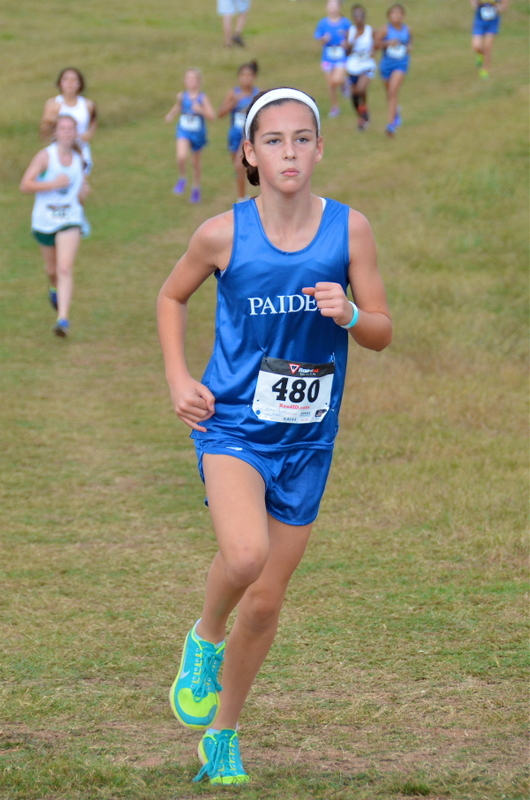 The Paideia Pythons will vote the Golden Eagle Invitational as their favorite meet of the season following victories in both the Middle School Girls & Boys divisions. 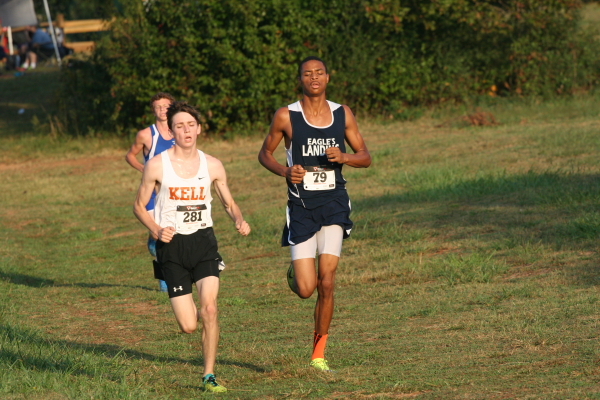 The Paideia Girls constricted the competition posting a perfect score of 15 points, and the Boys with 26 points. 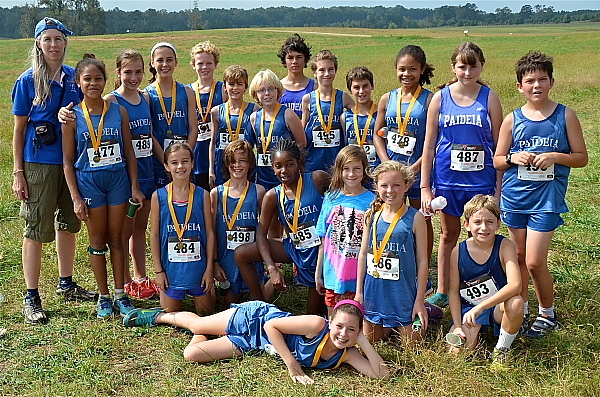 Elijah McCauley was the Overall MS Boys winner with a nice time of 11:50 (course was running slow today per Coach Spinks) and Lauren Eastman at 13:48 was the MS Girls titleistThe Girls of High Meadows earned second place with 48 points, and Cristo Rey Jesuit with 79. 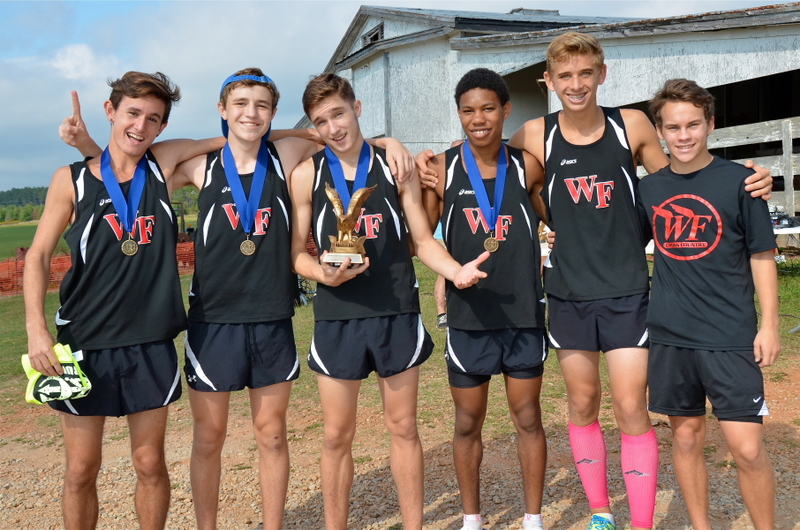 The Mount De Sales Boys took a solid second place with 61 points, and Atlanta Neighborhood Charter with 106. 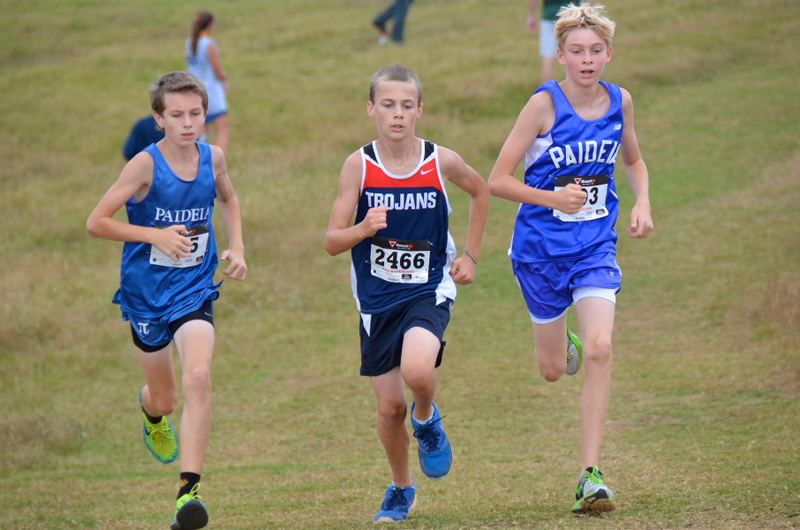 Alec Tubbs #503 (right) - Paideia - 2nd - 12:09.15 McCauley made his winning move on "The Hill"
Paideia 6th grader Lauren Eastman has medaled in every meet she has competed in in her first XC season.